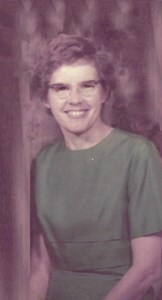 Virginia Marie Holzle, 93, of Topeka, KS, passed away Thursday, February 7, 2019. She was born in Ellinwood, KS, September 9, 1925, the daughter of James and Marie (Steckel) Williams. Virginia graduated from Great Bend High School and received her Bachelor’s and Masters of Arts degrees from Kansas University where she was inducted into Phi Beta Kappa honor society. She taught Spanish at Kansas University and Randolph Macon Woman’s College, Lynchburg, VA, before marriage. Virginia married Harry R. Holzle, August 20, 1950, in Great Bend, KS. He preceded her in death on July 30, 2015. Virginia was lovingly dedicated to her family, church, community and the environment. She enjoyed family vacations, camping, Girl Scouts, wildflowers, mountains, prairies, tutoring English as a second language, KU sports, family gatherings and her church. Her worship and church were cornerstones of life, with her faith giving her courage. Survivors include daughters Amy M. Holzle, Jill (Jerry) Maddox; son, Ross (Janis) Holzle; grandchildren Joseph (Sarah) Martinez, Brett (Amy) Holzle, Holly (Alex) Snowling, Keith (Emma) Maddox, Kevin Maddox; great-grandchildren Tallulah Maddox, Jasper Maddox, Zoey Holzle; brother Fred (Anne) Williams; and many nieces and nephews. She was preceded in death by her parents; brother, James “Jim” Williams; and sister, Betty Clark. A memorial service will be held at 1:30 p.m. on Saturday, February 23, in the chapel at First Presbyterian Church, 817 SW Harrison St., Topeka. Private burial will be at Topeka Cemetery. The family will receive friends during a visitation from 4:00 p.m. to 7:00 p.m on Friday, February 22 at Penwell-Gabel Mid-Town Chapel, 1321 SW 10th Avenue, Topeka, where the family will receive friends. Memorial contributions may be made to the First Presbyterian Church, 817 SW Harrison St., Topeka, KS 66612. Add your memories to the guest book of Virginia Holzle. Please accept my condolences for the loss of your dear loved one. I hope that the words at Psalm 34:18 and 2 Corinthians 1:3,4 can comfort you in your time of pain. I'll always remember Virginia as someone who loved company, always welcomed you into her home, often with some homemade bread or cookies. She was a great friend to my mother, Louise Carter.